ACCL » Miller, John B.
Dr. Miller founded Ironside Strategies LLC and Ironside Law Group LLC in 2015, located in Winchester, MA. He was head of Patton Boggs LLP Global Infrastructure Group between 2006 and 2014, with a substantial international practice. 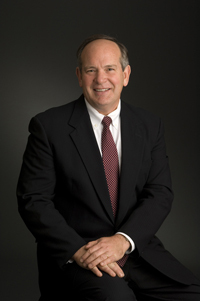 He is a former manager general partner of Gadsby & Hannah, Boston and Washiington, D.C.
Dr. Miller has extensive experience consulting on procurement strategy, including assistance to the United Nations, the Inter-American Development Bank, the Federal Reserve System, and projects in the United States and abroad. John lives in Winchester with Dr. Joan W. Miller, where they raised their three children. Joan is Chief of Ophthalmology at Mass. Eye and Ear Infirmary, Mass. General Hospital, and Chairman of Ophthalmology at Harvard Medical School. Dr. Miller has been active in numerous professional and industry organizations, including ARTBA, IBTTA, ABA, ASCE, DBIA, NSPE, MSPE, CMAA, CSI, ICMA, and AGC. Miller was the Republican Nominee for Attorney General of the Commonwealth of Massachusetts in 2014. Dr. John B. Miller is a global expert on infrastructure with an eye on efficiency and value. His thirty-five year career combines a unique research and professional experience at MIT in civil engineering, soil mechanics, and infrastructure systems with long practical experience in the construction industry representing clients in the construction industry sector across the world. Miller brings practical business, legislative, and contractual solutions to the world’s burgeoning public infrastructure needs. Miller John B., and Margaret E. McConnell, Reporters, ABA 2007 Model Code for Public Infrastructure Procurement, ABA Press, 2007, ISBN 978-160442014-2. Miller, John B., Editor, The Judges of the Court of Federal Claims, American Bar Association, Section of Public Contract Law, 1995, 246 pages. Miller, John B., Principles of Public and Private Infrastructure Delivery, Kluwer Academic Publishers, November, 2000, ISBN 0-7923-7201-8. Miller, John B., and Margaret E. McConnell, Reporters, ABA 2000 Model Procurement Code, ABA Press, December, 2000, ISBN 1-57073-900-5. Miller, John B., Case Studies in Public Infrastructure Delivery, Kluwer Academic Publishers, January, 2002, ISBN 0-7923-7652-8. Miller, John B., Reporter, ABA 2002 Model Procurement Regulations, ABA Press, August 2002 (published with ABA 2000 MPC above). Miller John B., Life Cycle Delivery of Public Infrastructure: Precedents and Opportunities in the Commonwealth, A Pioneer Institute White Paper, No. 44 December 2008. Miller, John B., Lessons Learned: An Assessment of Select Public-Private Partnerships in Massachusetts, A Pioneer Institute White Paper, No. 45 December 2008. Miller, John B., Protecting the Architect/Engineer from Liability, The Practical Real Estate Lawyer, Volume 2, Number 1, January, 1986. Miller, John B., Transaction Costs in Superfund Cleanup as a Function of Joint Liability, Federal Contracts Report, October 4, 1993, Bureau of National Affairs, Washington, D.C.
Miller, John B., Toward a New American Infrastructure Development Policy for the 21st Century, Infrastructure, Volume 1, Number 3, pages 20-25, Spring 1996. Miller, John B., Private Sector Provision of Public Infrastructure Systems Through Competition, The Procurement Lawyer, American Bar Association Section of Public Contract Law, Spring, 1996. Miller, John B., Engineering Systems Integration for Civil Infrastructure Projects, Journal of Management in Engineering, ASCE, Vol. 13, Number 5, Sep/Oct 1997. Miller, John B., and Roger H. Evje, The Practical Application of Delivery Methods to Project Portfolios, (1999) 17, 669-677, Construction Management and Economics, E&F Spon, Reading, U.K.
Garvin, Michael J., Stephen C. Wooldridge, John B. Miller, The Honorable Michael J. McGlynn, Capital Planning System Applied to Municipal Infrastructure, Journal of Management in Engineering, ASCE, Vol. 16, No. 5, September/October, 2000. Miller, John B., Michael J. Garvin, P.E., C. William Ibbs, and Stephen E. Mahoney, Towards a New Paradigm: Simultaneous Use of Multiple Project Delivery Methods, Journal of Management in Engineering, ASCE, Vol. 16, No. 3, May/June 2000. Wooldridge, Stephen C., P.E., Michael J. Garvin, P.E., and John B. Miller, Effects of Accounting and Budgeting on Infrastructure Capital Allocation, Journal of Management in Engineering, ASCE, Vol. 17, No. 2, March/April 2001. Wooldridge, Stephen C., Michael J. Garvin, Yuen Jen Cheah, and John B. Miller, Valuing Flexibility in Private Toll Road Development: Analysis of the Dulles Greenway, Journal of Structured and Project Finance, Institutional Investor, Vol. 7, No. 4, Winter 2002. Pietroforte, Roberto and John B. Miller, Procurement methods of US infrastructure: Historical perspectives and recent trends, Invited Article Submitted to the Journal of Building Research and Information, a peer reviewed journal supported by CIB, Issue 30/Number 6 November, 2002, pages 425-434. Miller, John B., Architect/Engineer Liability — A Growth Period, [Conference Proceedings of the ABA Section of Public Contract Law, The A/E’s Changing Role in the Construction Industry, Boston, 4/84. Miller, John B., Construction Arbitration in Massachusetts, 88 pages, Massachusetts Continuing Legal Education, Chapter 3 in Handling Construction Disputes, Boston, December 1989, 302 pages. Miller, John B., No-Fault Forfeitures: The Ultimate in Risk Shifting, [Conference Proceedings ABA] How Stacked Decks Shift Risk, Los Angeles, 2/90. Miller, John B., How to Turn the “”Square Corners”” of the Competitive Procurement Process to Ensure a Valid Contract Award, [Conference Proceedings ABA] Avoiding Detours in Public Work Construction, Scottsdale, 4/90. Miller, John B., and James J. Myers, Arbitration Awards, 33 pages, Massachusetts Continuing Legal Education, Chapter 3 in Commercial Arbitration, Real Estate Litigation Series, Boston, June, 1991, 318 pages. Miller, John B., The Federal Arbitration Act and Arbitration in the New England States, 129 pages, Massachusetts Continuing Legal Education, Chapter 4 in Commercial Arbitration, Real Estate Litigation Series, Boston, June, 1991, 318 pages. Miller, John B., Construction Arbitration in Massachusetts, 155 pages, Massachusetts Continuing Legal Education, Chapter 3 in Construction Disputes, Real Estate Litigation Series, Boston, June, 1992, 296 pages. Miller, John B., Transaction Costs Under Superfund: Two Proposals for Change, [Conference Proceedings ABA] Beyond Study: Environmental Construction Contracting in the 1990s, San Francisco, 11/93. Miller, John B., and Christopher M. Gordon, Environmental Construction Projects in the Procurement Context, [Conference Proceedings ABA] Beyond Study: Environmental Construction Contracting in the 1990s, San Francisco, 11/93. Miller, John B., Procurement Strategies Which Encourage Innovation: The Fundamental Element of Sustainable Public Infrastructure Systems, International Council for Building Research Studies and Documentation (CIB), 1997 Symposium of Working Commission W92, Procurement – A Key to Innovation, University of Montreal, May 19-23, 1997; Publication 203, ISBN 0-9682215-0-5. Miller, John B., and Roger H. Evje, Life Cycle Discounted Project Cash Flows: The Common Denominator in Procurement Strategy; First International Conference on Construction Industry Development, Conference Proceedings, National University of Singapore, December 9 to 11, 1997, Singapore. Miller, John B., The Fundamental Elements of Sustainable Procurement Strategies for Public Infrastructure; First International Conference on Construction Industry Development, Conference Proceedings, National University of Singapore, December 9 to 11, 1997, Singapore. Miller, John B., Aligning Procurement Methods Toward Innovative Solutions to Environmental and Economic Needs, Conference Proceedings, CIB World Building Congress 1998, June 7 to 12, 1998 Gavle, Sweden. Katie J. Adams and John B. Miller, Achieving Strategic Infrastructure Goals for Quasi-Public Agencies, February 20 to 22, 1999, Conference Proceedings of Construction Congress VI, Orlando, Florida, American Society of Civil Engineers. Cheah, Charles Y.J., John B. Miller, Application of Portfolio Planning to Urban Settings, Conference Proceedings, CIB World Building Congress 2001, April 2 to 6, 2001, Wellington, New Zealand. Miller, John B., The 2000 ABA Model Procurement Code: Rediscovering Competitive Procurement Mechanisms for American Infrastructure Networks, Conference Proceedings: GASB Statement 34 and the ABA 2000 Model Procurement Code: The Future of Infrastructure Planning, Procurement, and Operations, American Bar Association Annual Meeting, Section of Public Contract Law, August 4 to 7, 2001, Chicago, IL. C.H. Dowding and John B. Miller, Comparison of Predicted and Encountered Geology in Seven Colorado Tunnels, NSF Report No. R75-6, 1975. Miller, John B., Architect Engineer Liability Under Massachusetts Law, The Cambridge Institute, ed. 1 1987, ed. 2 1988, ed. 3 1989, ed. 4 1990 (with Stanley A. Martin), ed. 5 1991 (with Stanley A. Martin). Myers, James J., John B. Miller and Mark J. Sampson, [Chapter Contribution] Chapter 15: Government Contracting and Regulation, Construction Law Treatise, Matthew Bender, 1988, 1989, 1990, 1991. Miller, John B., Standard Form of Agreement With Engineer For Site Investigation Services, Massachusetts Society Of Professional Engineers, First Edition, 1989; Second Edition, 1990; Third Edition, 1991. Miller, John B., Construction Claims Under Massachusetts Law, The Cambridge Institute, May, 1989, 1990, 230 pages. Miller, John B., and William J. Ferguson, Jr., Construction Claims Under Massachusetts Law, The Cambridge Institute, 1991, 1992, 403 pages. Miller, John B., Architect/Engineer Liability — A Growth Period, American Bar Association, Section of Public Contract Law, 1992, 1984, 46 pages [Section monograph series]. Miller, John B., Architect Engineer Liability Through the Year 2000 (Is It Absolute??? ), American Bar Association, Section of Public Contract Law, 1992, 100 pages [Section monograph series]. Miller, John B., and Mark C. Fell, Post-Construction Liability in the United States, chapter contributed to Post-Construction Liability and Insurance, Edited by Jens Knocke, E & FN Spon, London, 1993, 389 pages. A Publication Supported by CIB Working Commission W87. Infrastructure Debate In Region: Moving From Process to Substance, Banker & Tradesman, March 29, 1995, Boston, Massachusetts. Miller, John B., Applying Multiple Project Procurement Methods to a Portfolio of Infrastructure Projects, chapter contribution to book entitled Procurement Systems: A guide to best practice in construction, Routledge Limited, under the imprint of E & FN Spon, London, 1999. Gorham, Anne, William Ofutt, and John B. Miller, Point Counterpoint Exchange on the New Model Procurement Code, The Construction Lawyer, ABA Forum on the Construction Industry, October, 2000. Miller, John B., The 2000 ABA Model Procurement Code, The Procurement Lawyer, the American Bar Association, Section of Public Contract Law, Chicago, Illinois, Fall 2000. Miller, John B., Thomas Messervy, and Jacquelynn E. Henke, Aligning GASB Statement 34’s Financial Reporting Requirements with Strategic Infrastructure Planning, Programming, and Delivery, Peer Reviewed Journal Article for Submittal to the Journal of Management in Engineering, ASCE, [Presented to the American Zoological Association, 2002]. Miller, John B., The Civil Engineer in Society — Public Policy, Public Office, and Community Service, Invited Forum Article Arising from the work of the ASCE Committee on Professional Practice regarding Professional Issues in Civil Engineering in the 21st Century, Journal of Professional Issues, Education, and Practice, ASCE, October, 2002. Private Sector Provision of Public Infrastructure Using Competitive Procurement Processes, [Presented to] The National Council for Public-Private Partnerships, 9/19/95, Washington, D.C.
Infrastructure Development and the Build-Operate-Transfer (BOT) Concept, October 4, 1996, MIT ILP, The Epoch Foundation Visit to MIT. Intelligent Building Procurement, [Presented to] The American Society of Civil Engineers, 1997 Annual Convention, Minneapolis, MN 10/8/97, Session AE8, Intelligent Building Construction Management. Trends in Transportation Development and Construction, Moderator and Panelist, [Presented to] the 9th Annual American Road and Transportation Builders Association (ARTBA) Public-Private Ventures in Transportation Conference, October 21 and 22, 1997, Washington, D.C. Practical Approaches to Public/Private Infrastructure Delivery, lecture presented the Atlantic and Pacific Exchange Program Visitors to MIT on March 25, 1998, organized by Professor H. H. Einstein. New Perspectives on the Organization of Large Scale Infrastructure Projects to Reduce Costing and Other Problems, One of three complementary lectures on Transportation Infrastructure Investment to Professor Remy Prudhomme lecture series; March 31, 1998, at MIT. Portfolios of Infrastructure Projects and Services at Navy Bases, Lecture Presented to 30+ Navy Public Works Officers and Engineers at the Portsmouth Naval Shipyard, Kittery Maine, April 21, 1998. Two-day conference organized by Prof. C. William Ibbs, University of California, Berkeley. Water and Waste Water, the Challenges of Modernization, US/UK Experience Compared, Program Sponsored by the British Consulate during EnviroExpo New England, World Trade Center, May 6, 1998. Privatization of Federal Infrastructure, Annual Forbes Conference on Worldwide Infrastructure Partnerships: The Coming of Age of Privatized Infrastructure, June 24 – 26, 1998, New York City. Looking Into the Crystal Ball: The Next Generation of Project Delivery Systems, Moderator and Panelist, Joint Program of the ABA Forum on the Construction Industry and the ABA Section of Public Contract Law on Project Delivery Systems for the Twenty-First Century, October 16 and 17th, 1998, Chicago, Illinois. Emerging Integrated Project Delivery Methods, Keynote Luncheon Address to the Annual Meeting of the Design Build Institute of America, October 16, 1998, Chicago, Illinois. Invited Presentation to ASCE Board of Direction, on the Origins of the 6% Cap on A/E Services in Federal Construction October 18, 1998, Boston. November 7, 1998, Colorado Springs, CO.
February 27, 1999, Annapolis, MD. May 22, 1999, Scottsdale AZ. March 11, 2000, Baltimore, MD. August 11, 2000, New York City. The Future of American Infrastructure Development, Presentation to the Tenth Annual Meeting of the American College of Construction Lawyers, Tucson, AZ, February 19-21, 1999. Value Based Delivery Systems: The Model Procurement Code Revisions, Presentation to the Design Professionals Coalition (CEO�s of the Top Fifty A/E Firms in the U.S.), Washington, DC, March 7-8, 1999. Presentation on Revisions to the ABA Model Procurement Code: Presentation to the Council of the ABA Section of State and Local Government Law, March 26, 1999, Southampton, Bermuda. Project Delivery and Finance, Presentation to the Committee on Federal Procurement of Architect and Engineer Services (COFPAES $(H a(B coalition of industry associations and large federal agencies), Washington, DC, April 13, 1999. Presentation on Revisions to the ABA Model Procurement Code to the Board of Directors of the Design Build Institute of America, Washington, DC, April 14, 1999. The Future of American Infrastructure Delivery and Finance, Keynote Address on Value Based Delivery Systems to the 1999 American Consulting Engineers Council (ACEC) Annual Meeting, Seattle, Washington, May 12, 1999. Moderator, Session on Project Delivery, one part of the Cooperative Mobility Programs Conference on Traffic Congestion: A Global Perspective. MIT, Cambridge, MA, June 8-9, 1999. Sorting Through Delivery and Finance Options for Public Infrastructure, Presentation made to Representative Martin Walsh, State House, Boston, MA, July 26, 1999. Simultaneous Use of Multiple Project Delivery and Finance Methods to Improve Portfolios of Infrastructure Facilities Presentation to the Design Professionals Coalition (CEO’s of Largest American Engineering Firms), Keystone, CO, August 13, 1999. The End of Privatization, The Rediscovery of Competitive Project Delivery and Finance Methods for Infrastructure, The Kratovil Lecture, Presentation in the Centennial Program of the John Marshall Law School, Chicago, Illinois, September 24, 1999. Briefing to Army Corps of Engineers Project Management Staff on Current Research in the Simultaneous Use of Alternative Project Delivery and Finance Methods to Manage a Portfolio of Infrastructure Assets Over Time: October 8, 1999, at U.S. Army Corps of Engineers Headquarters, Washington, D.C.
Value Based Delivery Systems and Alternative Project Delivery, Presentation to the World Services Congress (Joint presentation with the American Consulting Engineers Council) Atlanta, Georgia, November 2, 1999. The American Infrastructure Consortium, Presentation to the 5th Annual QBS Coalition – Michigan Conference, Jointly Sponsored by ACEC-Michigan, AIA-Michigan, ASLA-Michigan Chapter, The Engineering Society of Detroit, the Michigan Society of Professional Engineers, and the Michigan Society of Professional Surveyors, Livonia, Michigan, November 4, 1999. The New Model Procurement Code Draft of the American Bar Association, Presentation to the 5th Annual QBS Coalition – Michigan Conference, Jointly Sponsored by ACEC-Michigan, AIA-Michigan, ASLA-Michigan Chapter, The Engineering Society of Detroit, the Michigan Society of Professional Engineers, and the Michigan Society of Professional Surveyors, Livonia, Michigan, November 4, 1999. Briefing on the American Infrastructure Consortium to Executive Director and Key Staff of the American Public Works Association, November 9, 1999, Washington, D.C.